Fischer Panda UK can now meet the water-making requirements of a range of vessels from small power and sail boats up to mega yachts with the addition of the high-capacity Aqua Matic XL to its comprehensive range of Sea Recovery watermakers. The Aqua Matic XL features fully-automatic, one-touch operation and optional remote control and is developed for vessels requiring large quantities of water quickly and easily, making it suitable for super and megayachts, as well as workboats, support vessels, sport fish, charter and diving / cruising boats. 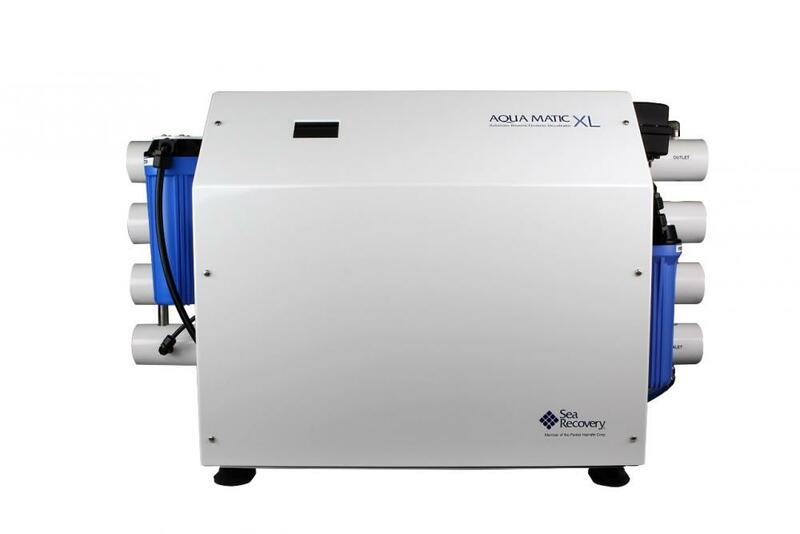 Much smaller and more compact than similar watermakers with comparably large production capabilities, the Aqua Matic XL offers significant water supply of 2200 to 3600 gallons per day (8328 to 12870 litres per day) without the need for extra maintenance or more space. The XL version is offered as a higher production alternative to Fischer Panda’s popular range of fully-automated Sea Recovery Aqua Matic systems, which are more suited for boats of 50ft-100ft. These premium Aqua Matic models are ideal for users requiring a watermaker that operates independently and needs minimal maintenance. Fischer Panda also caters for customers with mid-range boats looking for a well-priced system which is simple to maintain and operate, but still requires a certain amount of involvement from the user. Its middle capacity Sea Recovery Aqua Whisper models and its popular semi-automatic HRO (Horizon Reverse Osmosis) range of compact Seafari models are ideal for sailing yachts and motorboats and factory-fitted on Sunseeker and Fairline boats. The Village Marine range is the third brand in Fischer Panda’s watermakers portfolio. These rugged systems are developed for 24/7 consumption and high levels of user operations, ideal for a variety of commercial, offshore, workboat and fishing vessels and tugs. Visit Stand E020 at Southampton Boat Show for more information.